Alloy Wheels *, Bluetooth*, Moonroof*, Navigation System*, Power Mirror Package*, Power Package*, Heated Package*, Titan Black w/Leather Seating Surfaces, Front fog lights. Hambelton LaGreca Super Center WWW.hamlag.com. 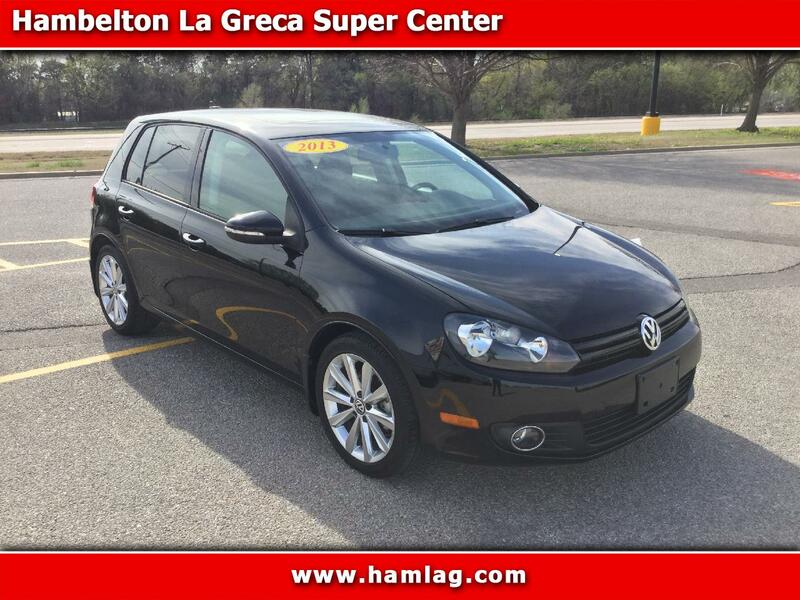 Black 2013 Volkswagen Golf TDI 4D Hatchback 2.0L 4-Cylinder Diesel FWD 6-Speed DSG Automatic with Tiptronic Odometer is 31662 miles below market average! Excellent Financing Available! Awards: * Car and Driver 10 Best Cars * 2013 IIHS Top Safety Pick Car and Driver, January 2017.